1121. ArquitectonicaGEO: C. Zavesky, R. Conover, G. Fort, F. Romero, A. Montás. Restore: Symbiosis within a community. 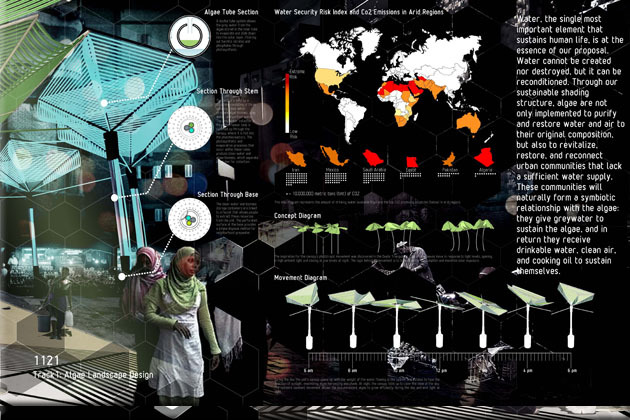 Restore is an algal shading device that uses the algae’s photosynthetic process to purify water and air, while producing biomass in the form of cooking oil for household consumption. 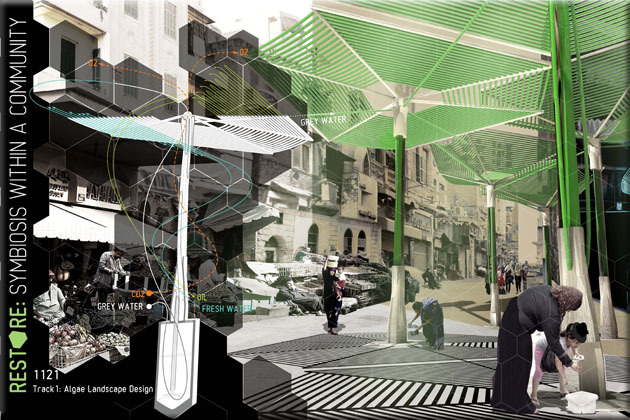 During the day the canopy opens up to face the sun providing shade for the street and at night folds up. For more information about this entry, contact the author. email: czavesky@arquitectonicastudio.com.